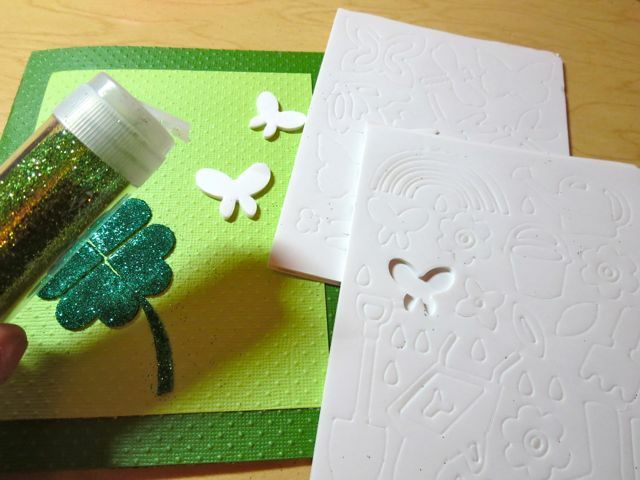 Here are the supplies I used for this card, which include 3D Foam Hearts for the Shamrock and NEW 3D Foam Butterflies and Garden Shapes. 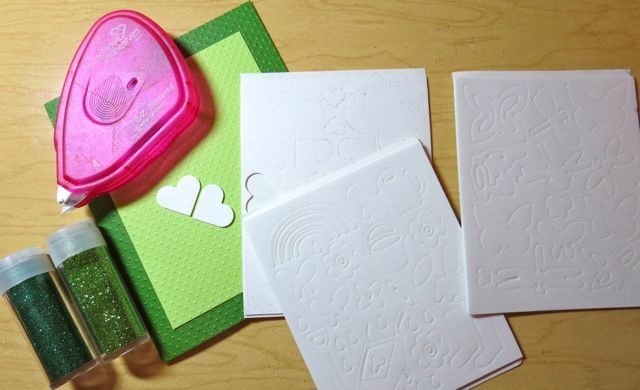 After adhering the layers of my card base together with my E-Z Squares™, I used four 3D Foam Hearts and green glitter to create the shamrock. 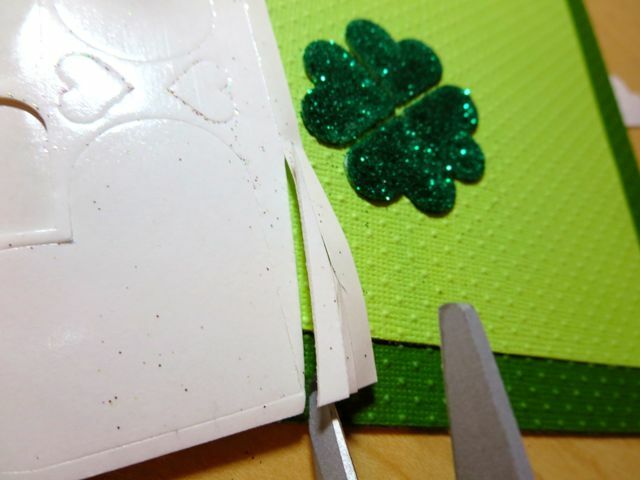 For the stem of the shamrock, I simply cut a piece of 3D Foam from the side of the Hearts sheet. Add green glitter …. and ta daaaa! 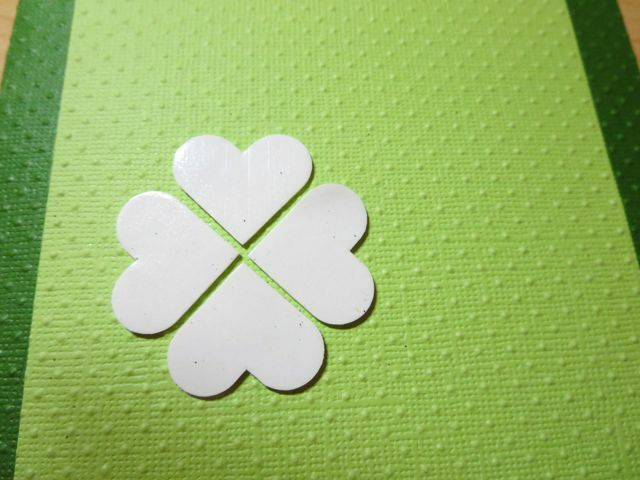 A lucky 4-leaf clover appears! 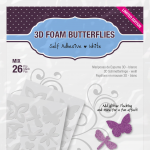 I added a couple of 3D Foam Butterflies and covered them with a lighter shade of green glitter. 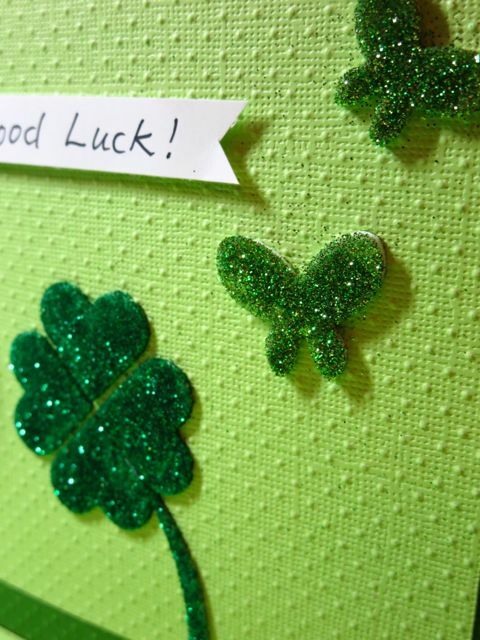 To attach my “Good Luck” banner, I used Crafty Foam Tape. 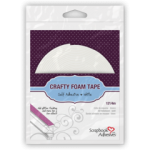 As you can see by the roll above, I go through a LOT of Crafty Foam Tape! 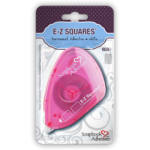 Love this stuff!! 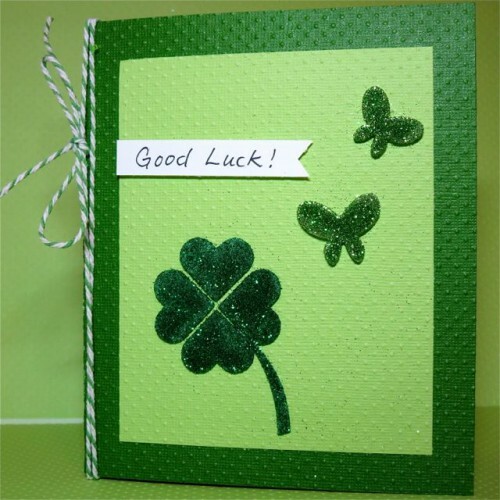 Wishing all of you a very “lucky” St. Patrick’s Day! This entry was posted in 3D Foam Shapes, 3D Projects, Adhesives, Cards, Crafts & Tutorials, Crafty Foam Tape, E-Z Runner® Dispensers, Embellishments, Seasonal Craft Ideas, Spring, Tutorial, Wear your Adhesive on the Outside and tagged 3D Foam Butterflies, 3D Foam Garden Shapes, 3D Foam Leaves, Core'dinations Cardstock, E-Z Squares, Kelly Klapstein, Shamrock, St Patrick's Day. Bookmark the permalink. 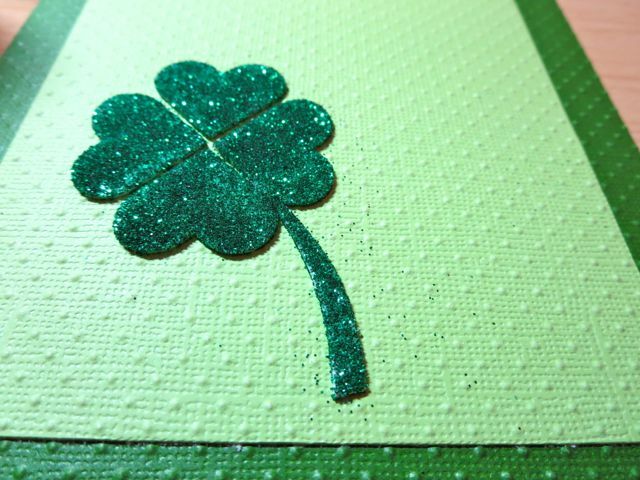 2 Responses to "A Lucky Shamrock Card"
What a quick card but no one would ever guess it’s so fun and the glitter really kicks it up! 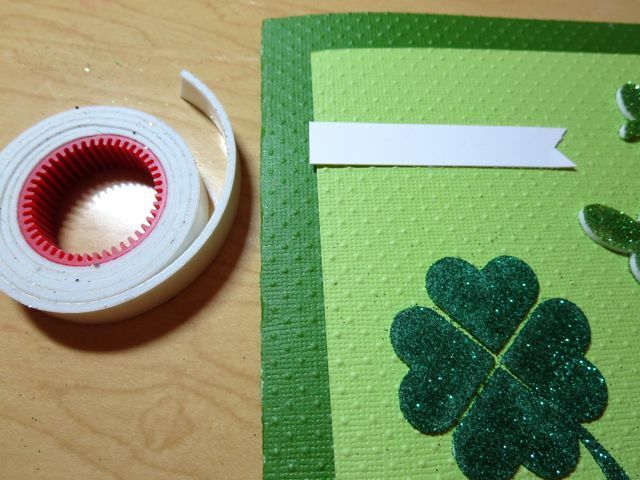 May the luck of the Irish be with you all and may your skies be filled with rainbows!